The world of music felt the loss of David Bowie when he passed away earlier this year. A creative innovator and a pioneer, the singer was a trailblazer in music and creating out-of-this-world personas. But what was perhaps lesser known about Bowie is that he had been an avid art collector since the 1990s. Presented to the public for the first time, auction house Sotheby's is showcasing and auctioning pieces from the late great musician's private art collection, allowing audiences a glimpse of a different faction of his life and creativity. After touring New York, Los Angeles and London, Bowie's collection is on display at Hong Kong's Sotheby's from October 12-15, featuring works by British artists like Damien Hirst and Peter Lanyon as well as stunning pieces of contemporary African art. We get the low-down from Frances Christie, Senior Director and Head of Modern and Post-War British Art at Sotheby's, about what to expect at the upcoming show. How did this exhibition co me about? 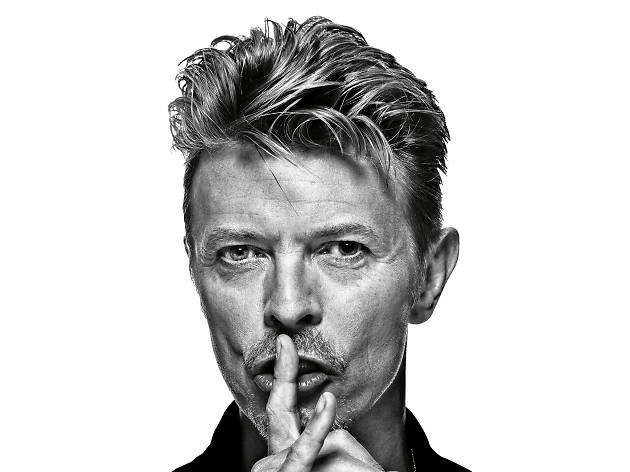 Did David Bowie always want to share his art with the public? David Bowie loved to collect and loved visiting auctions. He was always happy to share his collection with others and generously never declined a loan request. He didn’t discriminate between a major national institution such as the Royal Academy, or a small private gallery. The exhibition history that accompanies the works in the sale is staggering. He was so passionate about his collection that he always wanted others to see it. We hope that all lovers of art and indeed all lovers and fans of Bowie will be intrigued to come and see the collection. And, just as Bowie loved buying from auction, we hope that everyone will discover something for themselves among his immense collection. As an iconic musician, not many people necessarily knew that Bowie was an art collector. 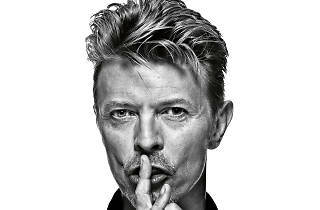 Bowie once said: "Art was, seriously, the only thing I’d ever wanted to own. It has always been for me a stable nourishment. I use it. It can change the way I feel in the mornings. The same work can change me in different ways, depending on what I’m going through…I’ve always found that I collect. I’m a collector. I always just seemed to collect personalities, ideas." What sort of works can we expect to see at the Hong Kong show? Modern British Art is the main focus of this Bowie collection, and the majority of these works were acquired in the mid-1990s. But the sale also includes works that he bought in the 1980s and in the 2000s. One work was acquired as recently as 2015. Bowie felt a deep affinity with and closely studied the art he collected. This is a collection put together with great thoughtfulness on the basis not of reputation but of Bowie’s highly personal, intellectual response to the artworks. Many people might expect one of the world’s biggest stars to collect the "big" blue-chip names in art, However, the names of many artists in this collection are probably unfamiliar to most people. As he discovered more about art and different artists, he naturally began acquiring things that have a shared history – he bought so many examples by artists who were at the very cutting edge of their time and he didn’t just go for obvious names. How does the collection and the artworks he collected over the years reflect his personality and personal interests? Bowie is well-known for playing Andy Warhol in the 1996 biopic Basquiat – he’d even met Warhol at The Factory in 1971. However, many people don’t realise how knowledgeable and intellectually engaged Bowie was with the art world. If you study his lyrics and album covers you’ll see many references to art and artists, but he was also a painter, critic, patron, publisher, curator. Bowie painted throughout his life and was immersed in the artistic communities of not only London, but also New York and Berlin. In 1994 he joined an invitation-only academic coterie on the editorial board of Modern Painters magazine, for which he interviewed the likes of Jeff Koons, Damien Hirst and Tracey Emin – a seemingly unorthodox move for a rock superstar. His knowledge was encyclopaedic; he wrote and read extensively about art. Why do you think Bowie tended to lean towards London artists and paintings, as opposed to sculptures and photography? Looking at the collection in its entirety, it really feels like Bowie bought what he loved; he explored different areas that appealed to him, and collected works that had the power to move or inspire him. Bowie was born in London in 1947 and, although he lived all around the world, he clearly still identified strongly with Britain. This could explain what led him to British art of the early and mid-20th century. Although the main focus is principally British art of the 20th century, he was also interested in surrealism, and he delved into contemporary African art, outsider art and 20th century design. There are many other strands to the collection, and to Bowie’s intellectual curiosity. One of the most exciting pieces on display is the Achille and Pier Giacomo Castiglioni stereo. What makes the stereo cabinet unique to other typical stereos, and why do think Bowie was drawn to it? The Briovega RR126 is such an iconic piece and was playfully designed as a kind of 'musical pet' – as well as being completely detachable, the speakers can be hooked on top or on the side like ears and the control dials form a face. It’s on castors so it can be moved around easily. It’s very possible that the witty and innovative design appealed to Bowie, as well as the high quality audio system that was perfect for the more complex music arrangements that he and other musical pioneers created during their careers. Do you think Bowie might have taken inspiration from any of the works into his many innovative looks and outfits? I wouldn’t want to make any assumptions about the works in the sale, but if you look at Bowie’s album covers you can definitely see the influence of some artists. For instance the design cover for his 1994 Tonight album cover was inspired by the art of Gilbert and George. And, it has been widely suggested that two of Erich Heckel’s works, Roquairol (1919) and Männerbildnis (1919), inspired the album design for Heroes. David Bowie lived in West Berlin from 1976 until 1978, and during these two years he became an ardent admirer of German expressionism and the die brücke movement particularly. Hong Kong is final stop of the world tour for this Bowie collection. What do you hope local audiences can glean from the exhibition? We wanted as many people as possible to get a flavour of David Bowie’s collection, and Hong Kong was a natural choice. Although it’s a shame we couldn’t bring the whole collection to Hong Kong, we have handpicked a selection of art and design representative of the collection as a whole, and really speak to David Bowie’s tastes. Through these works we hope the audience will really be able to understand David Bowie as a collector and see a whole new, little-known side to one of the most influential cultural figures of our time. How can Hong Kong people participate in the sale if they’re interested? Would they need to travel to London for the auction?